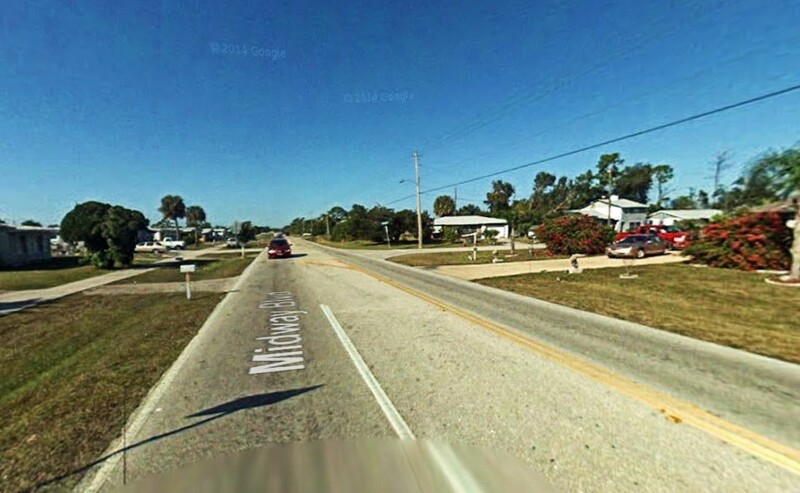 A Florida witness at Port Charlotte driving westbound along Midway Boulevard at 6:34 p.m. on November 30, 2014, reported getting stopped behind several cars just as a “pretty large white orb” UFO moved overhead, according to testimony in Case 61753 from the Mutual UFO Network (MUFON) witness reporting database. The witness is not familiar with the type of craft that was seen. 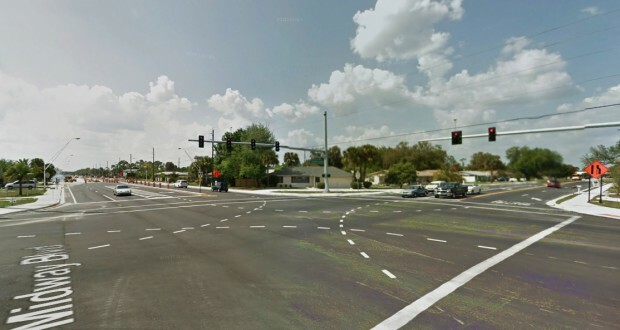 The other drivers at the scene noticed the object too. 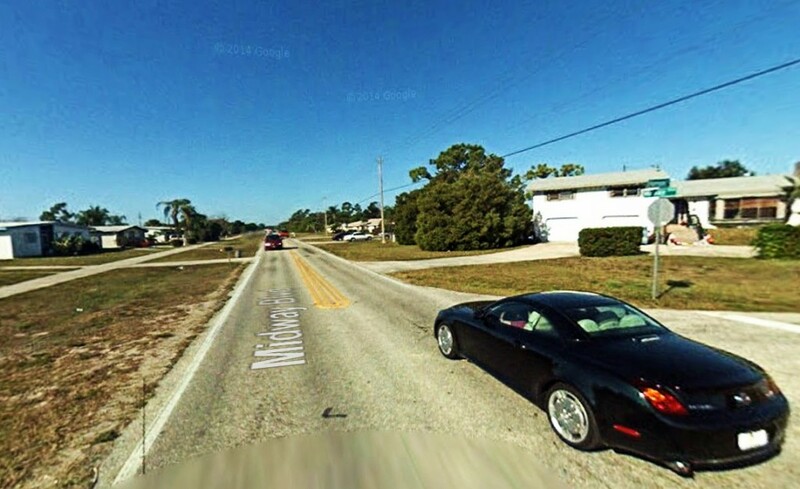 Port Charlotte is an unincorporated community in Charlotte County, Florida, population 54,392. Florida has a current UFO Alert Rating of 5 with a low number of recent reports nationally. Florida had 30 UFO reports that occurred during October 2014 – calculated at 1.55 sightings per million population. This happened in Bradenton Florida as well. Cross section of 53rd and Lockwood. White Orb looked like a plane coming in for a crash. It stopped and made a direct turn and headed south. Was not a helicopter. Was not a plane. Stopped traffic. Just a hair after 9 pm at night. Made a comment above… forgot to mention that my sighting was last year. Miller – If you have not yet done so, please report your sighting to the Mutual UFO Network (MUFON) at mufon.com. Thanks. … and with all the cellphones in the world today, no one got a photo? I find this hard to believe. So you’re telling me that in 2014 a UFO stopped multiple vehicles and not one picture was taken? Then I read the comments and it’s happened before. So at least 2 similar incidences and not one photo/video? MUFON is a joke. Don’t report to them. They often never release photos/videos. When asked why they say, “we don’t want to compromise the investigation.” Sorry MUFON, no dice! All these cars and no one had a cell phone to take a picture?? It’s a hoax. A guy two streets over made a ufo out of a i[pad with 4 propellers and hovers it above the 4 way lights. Taint in their local news paper or news casts. How come? Must be a fake if it wasn’t worthy of news coverage. Taint real. There are no aliens inside them, it’s apart of the government. Obviously the government wouldn’t tell us about their secret weapons. When the government doesn’t want an investigation it means that THEY sent it. but when there were lights in Washington D.C. Fighter jets scrambled after them (soon later was found out that it was just hydrogen blah blah blah). So obviously this is U.S. super/secret weapons. And they don’t want world production of these war machines. Rightwingers in yet another rightwing state cant identify a easily identifiable aircraft….. I actually live about a mile from here. These old people around here have money, and I’m almost positive it’s a personal drone. I’ve seen a few with different colors even. If you would, please contact me and I would like to supply you with the images for analysis. Hello Mike Rowley. I know exactly what your talji g about and I personally believe everything you have said in every video and interview you’ve been in. I have searched for you and I was shocked to see you that you’ve left a comment on here. I would love to talk to you is there anyway to get in touch with you? Please leave a comment I’ll check back to see if you have. Thanks.